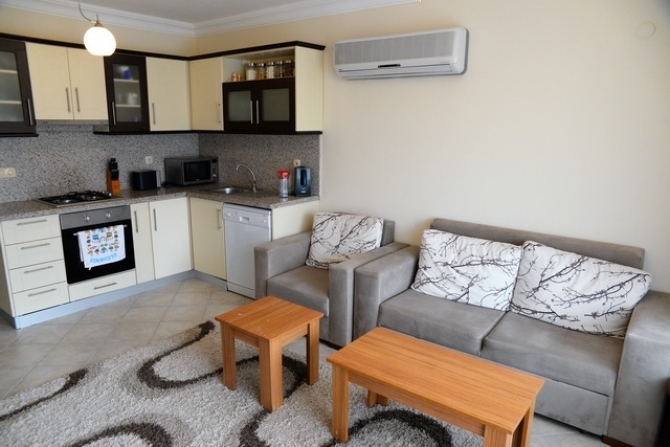 This fabulous fully furnished apartment has 2 bedrooms and 2 bathrooms located on Calis Beach in Fethiye. 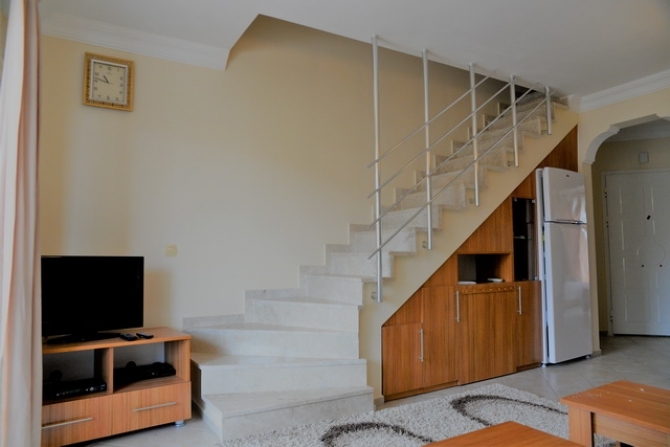 This apartment is over two floors, with the entrance leading to the compact but fully equipped kitchen. The lounge area, open directly onto the front terrace, which has a built in stone BBQ that overlooks the swimming pool and communal gardens and has seaviews. There is 1 double bedroom on this floor along with a family bathroom, Stairs take you up to 2nd floor where you find the master bedroom with en suite bathroom with Roof terrace. 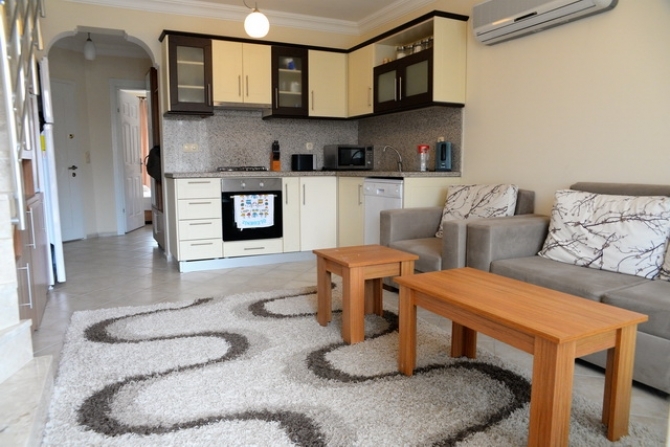 This property is being sold fully furnished, including all white goods, air conditioning units in all rooms. This 5 star complex offers; private beach, outdoor and indoor swimming pools, free Internet, restaurant, cafe, fitness, Turkish Bath, security and market shop. The communal gardens are beautifully maintained all year round with grass and flowers. The local transports pass in front of the complex. 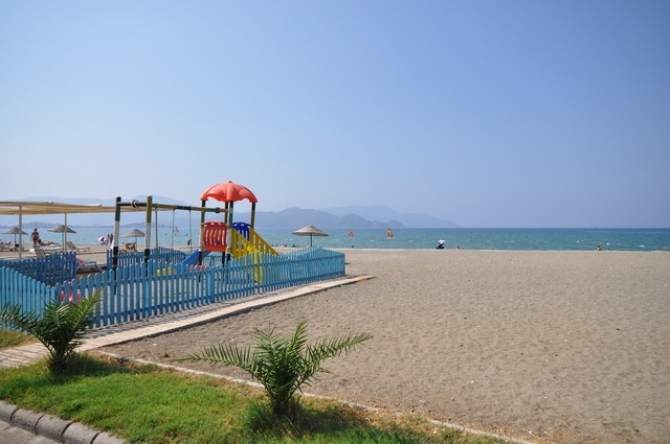 The complex is just a short walk to Calis Beach promenade where you can find many restaurants, bars and cafe and the local water taxi taking you over to Fethiye Town. There are many beach clubs nearby offering a wide range of water sport activities.